When you are running through the forest trying to escape the enemy, the last thing you want is to trip on your pants or leave a blood trail from your bramble-beaten shins. Issues like these are exactly what the Canvas Hamond Leg Wraps are here for! 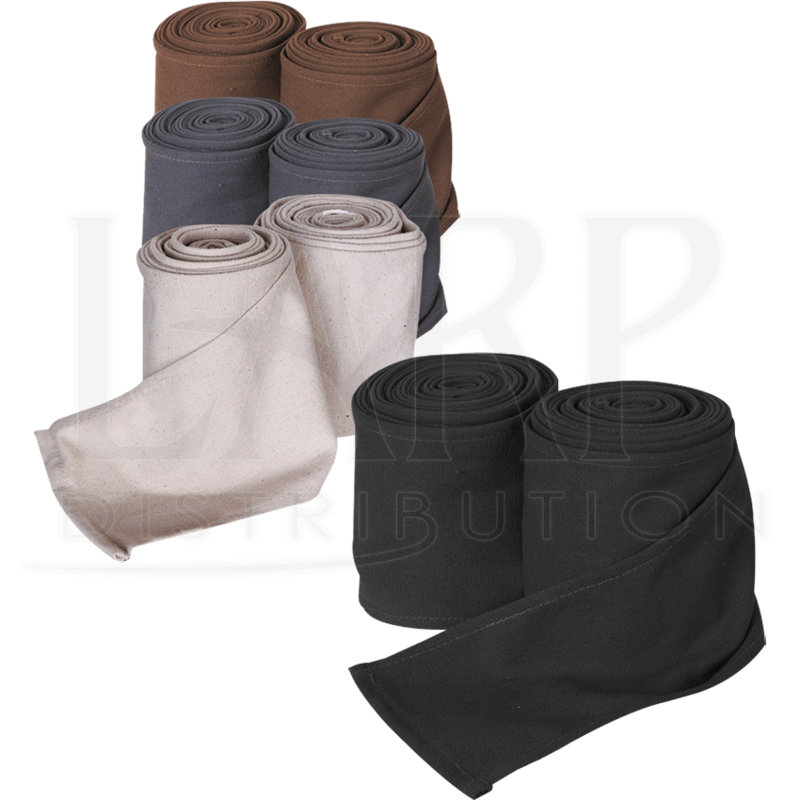 These cotton puttees are made to perfectly encircle the leg from the knee all the way to the ankle, keeping the shins safe from harm and the pants close to the body. 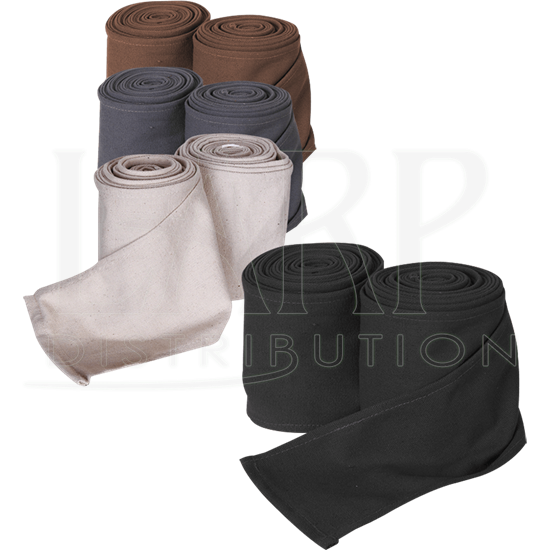 These leg wraps also come in brown, grey, natural, and black, making them highly versatile. Whether you are cosplaying as a Viking, a soldier, a Roman, or an elf, the Canvas Hamond Leg Wraps are exactly what you need! 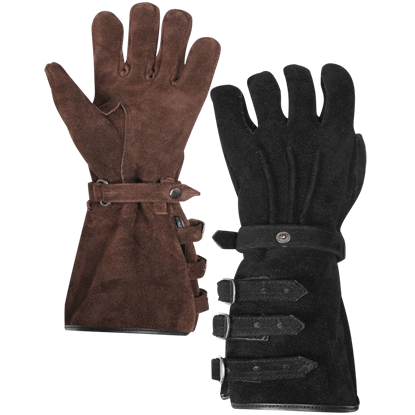 Made of high-quality leather and featuring adornments both stylish and functional, the Suede Kandor Gloves are great for wearing as part of any LARP or historical reenactment look and are also suitable for wearing under gauntlets. 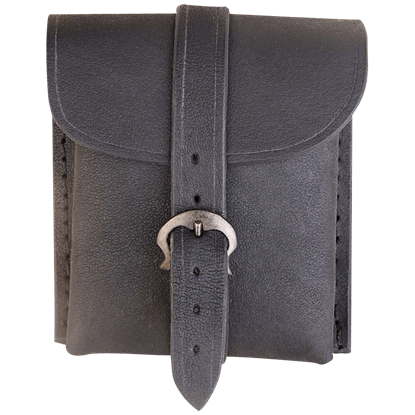 The more petite version of our Large Geralt Belt Bag, the Small Geralt Belt Bag offers wearers the same sturdy security for your items at a smaller size. Made from high-quality leather, this slender bag features a brass pin closure. 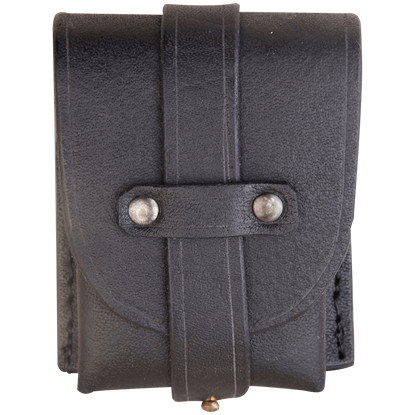 When you attach the Large Geralt Belt Bag to your side, your items are sure to remain safe and secure inside this sturdy leather pouch. 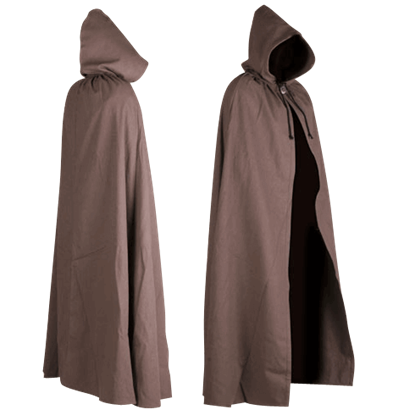 Wear it during LARP events or historical reenactments for easy access to your essential items. A fantastic addition to any period look, the Garen Suede Vest works well for the Renaissance fair and historical re-enactments. 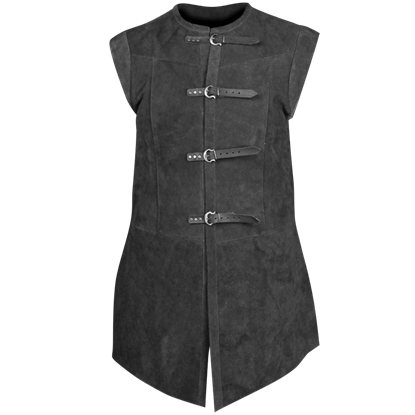 The leather vest includes eyelets beneath the shoulder cuffs for attaching sleeves if desired.